← The best first chapter I’ve ever read. Oh, well. While writing a book under contract is absolutely wonderful in that you know you have a professional team in place and whatever you write will become a real book, it also means that WHATEVER YOU WRITE WILL BECOME A REAL BOOK. There’s pressure in that, especially when you’re writing the second book in a series, and you don’t want to disappoint anyone. 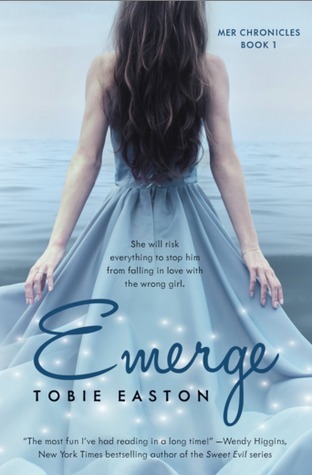 Every time someone messaged me or tagged me in a good review of Emerge and said how much they were looking forward to Submerge, it made me so, so happy but also contributed to my growing sense of panic. What if I couldn’t do it? You constantly hear readers talking about how disappointing sequels are. What if no matter how confident I felt in the story for Submerge and how much I loved the characters’ journeys, my readers who had been waiting for the book for a year, didn’t feel the same? What if they hated it? Those were the new thoughts that circled through my head when I sat down to write. But I didn’t have time for those thoughts because, of course, Book 2 was also my first time writing on a deadline. I was the kid who always turned her homework in on time, so even the idea of writing a novel on a deadline stressed me out. 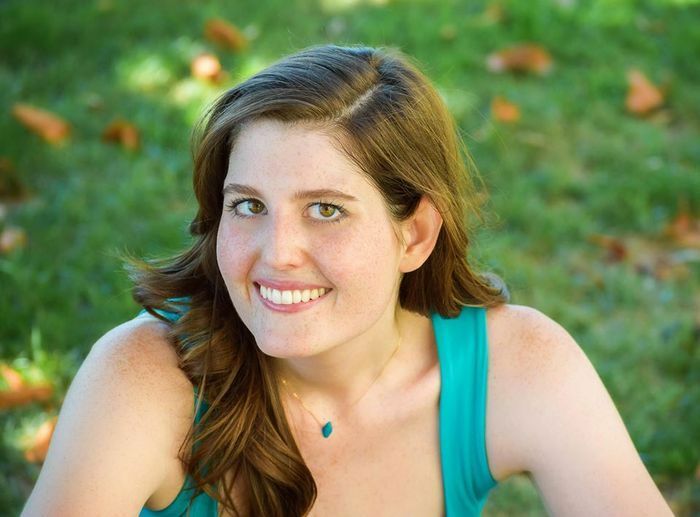 Imagine: For the first time ever, you have to write a book—a whole book!—by a specific date. On top of that, I was travelling around the country for events promoting Book 1, so there were days or weeks at a time when my writing schedule flew out the window. I tried to be as responsible as I could with my impending deadline; I did all the math and figured out how many words I had to write a day to meet it. I was doing pretty well, too, chugging along thinking I could do it, until it became clearer and clearer that while my calculations were based on an 80,000-90,000-word novel, there was no chance all the twists and turns I had planned for Submerge would fit within that word count. And I wasn’t willing to change what I knew the story needed to be. Fortunately, both my agent and my editor were very supportive when I said I needed more time—and then when, several months later, I handed in a whopping 118,000-word manuscript. But somewhere in that final time crunch for those last 28,000 words, I stopped having time to listen to all that outside noise and all my own worries. Somewhere around the time I got desperate enough to have my husband drop me off at a Starbucks with nothing but a notebook and pen and told him not to come back until they closed in ten hours, I reclaimed my need to write the story for myself. And for the characters who deserved to have that story told. And by the time I turned in that 118,000-word mammoth, I loved it. I loved it enough to stop worrying (mostly) what everyone would think. I knew it was the right story. That didn’t stop me from dancing around my living room when the first ARC reviews came in and people said they loved Book 2 even more than Book 1! Because of how much I had struggled to write my first sequel, those comments from readers mean more to me now than ever. But that doesn’t mean I’ll let them get in my head anymore during writing time. Because that time belongs to me and my characters—and no one else. Now, I just have to remember that as I write Book 3. Wish me luck! Woohoo! Good luck Tobie! Cheering you on to book 3! Click here for your chance to win a Kindle Fire! 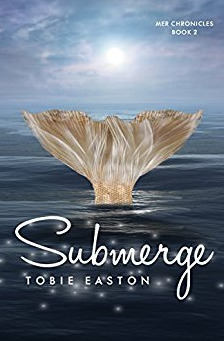 This entry was posted in Author Interview and tagged emerge, how to write a sequel, jennifer eaton, jennifer M. Eaton, submerge, tobie easton, writing a sequel. Bookmark the permalink.